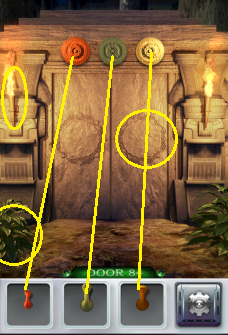 Pick up the bush, torch, and door decoration. 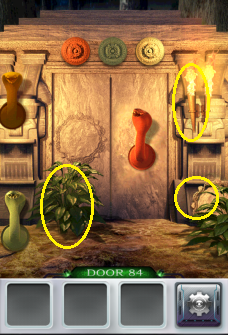 Replace the snakes with the objects (left side should look the same as the right). Drag the snakes to their spots above the door.